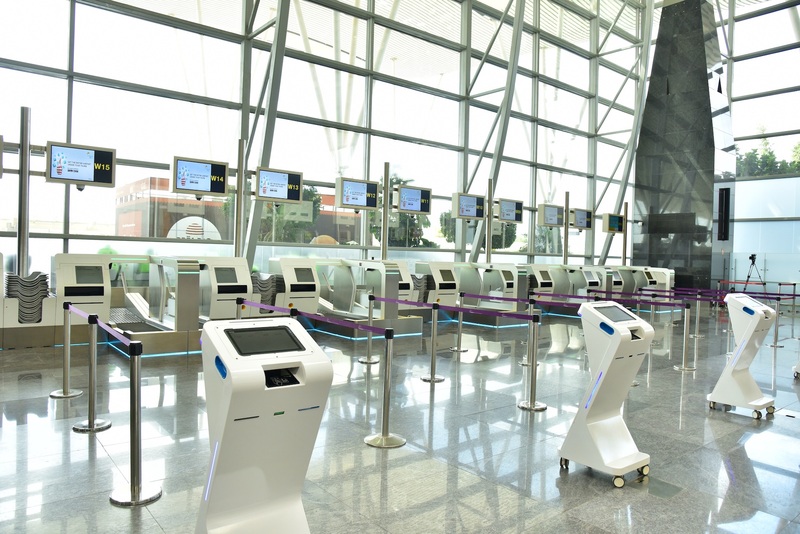 The automated self drop bag drop counters at Bangalore Airport. 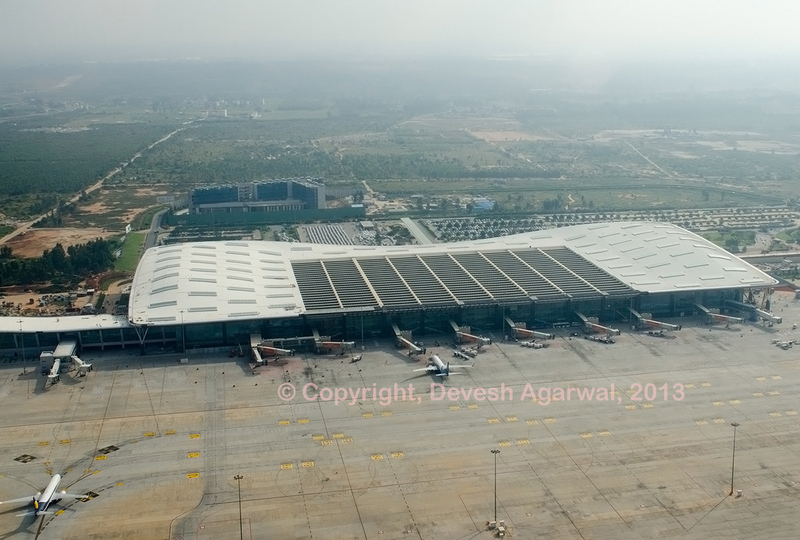 Bangalore airport has become the first airport in India to introduce automated bag drop machines. The 16 new self bag drop counters will allow passengers to check in their baggage without having to interact any ground agent. Using the self bag drop involves a two-step approach. A passenger will first print a boarding pass and an eezee-tag (bag tag) at a self check-in kiosk. Once the bag has been tagged the passenger will go to the bag drop machine, scan the boarding pass to initiate the bag drop process. 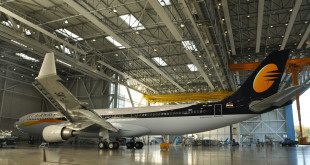 The bag will be measured, weighed, scanned and automatically fed into the baggage handling system. The airport is installing 32 new self check in kiosks in addition to the baggage drop counters. In case of any excess baggage the passenger will be redirected to a hybrid manned counter to pay the baggage charges. 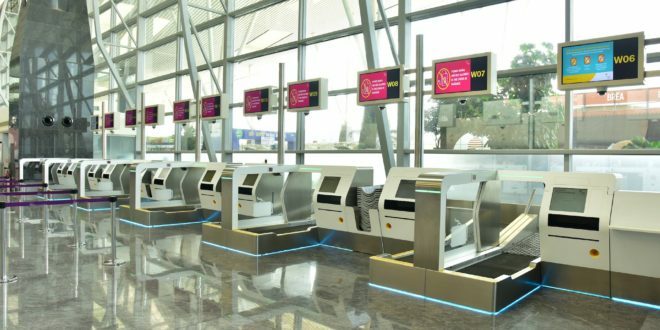 The airport planes to introduce a direct payment option at the drop counter in the future. The self drop counters will initially only be available to passengers flying with Air Asia and Spice Jet. The airport has said that the baggage check in with the new system will only take a passenger 45 seconds.